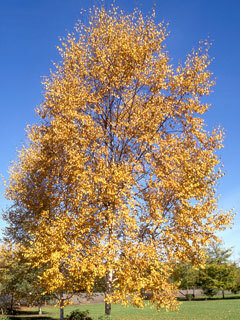 This vigorous white barked birch is thought to be a hybrid of B. pendula and B. occidentalis (B.fontinalis). It originated in the Rocky Mountains where it is cold hardy. 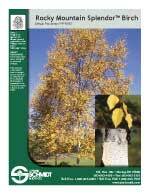 INSECT RESISTANCE: Birch borer resistance indicated by chemical analysis.